A. Pennyworth's opened in September of 1999. 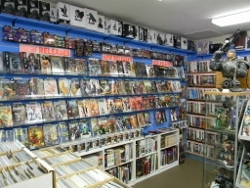 We offer a large selection of both new and old Comics. As well as a large assortment of Toys from your favorite Movies and TV Shows. We have Statues from your favorite Artists and Comics. Come by and see us and check us out for yourself. We Moved July 1, 2017 to a different Location, directly next to our prior location. Here are some Pictures of our new location, come see for yourself. 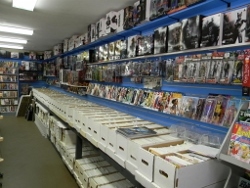 We also carry: HeroClix, Anime, Star Wars Comics and Toys, Halo Comics and Toys, Watchmen Graphic Novels and Toys, World of War Craft Minitures and Cards (WoW), Barbies, Art Books and much much more.